Mine was a bit hectic but fun. Ben and I hosted a mini house-warming party for a few of our friends. We moved into our new home about 5 months ago and it’s been a slow process getting it close to where I’ll love it to be but I’ll be sharing plenty of photos when it’s at least at 80% complete. I love home decor, though not formally trained, I have a few years of interior designing under my belt. A part of me I hope to engage in from time to time when the right opportunity comes along. 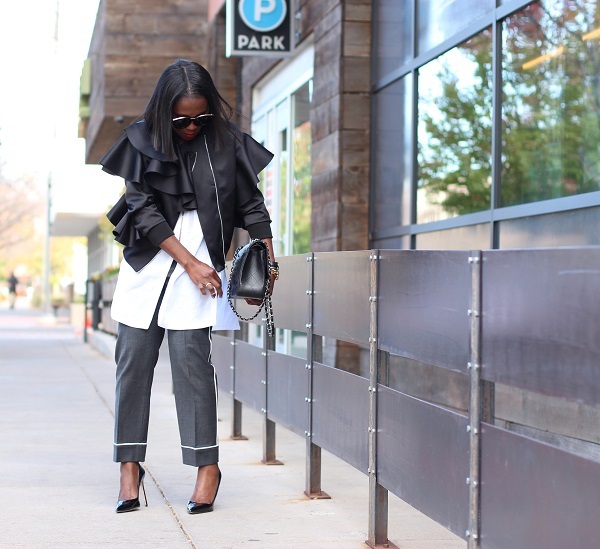 On today’s fashion news, sharing how I styled this ruffled black bomber jacket over these cropped grey white detail. The jacket is definitely a statement piece, chose the sporty-chic route as a fun work to evening option for anyone to recreate. 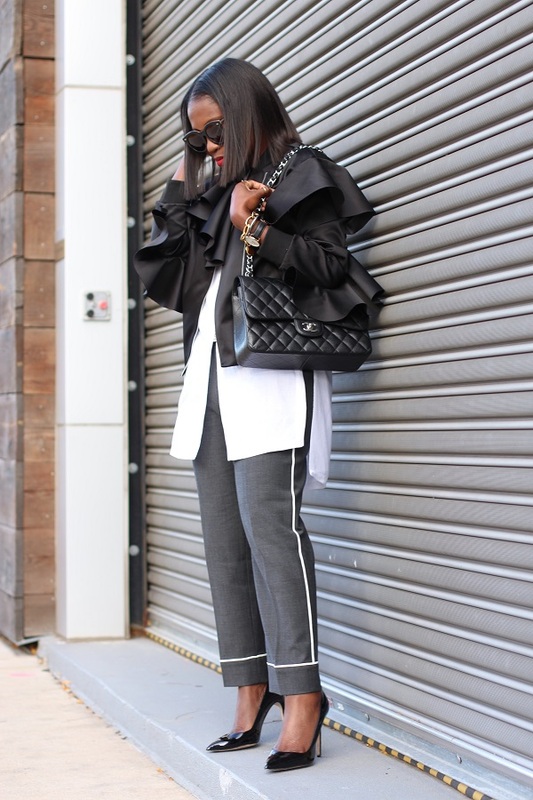 Not to mention, I love black and grey hues styled together, it gives a crisp and chic combination don’t you think? 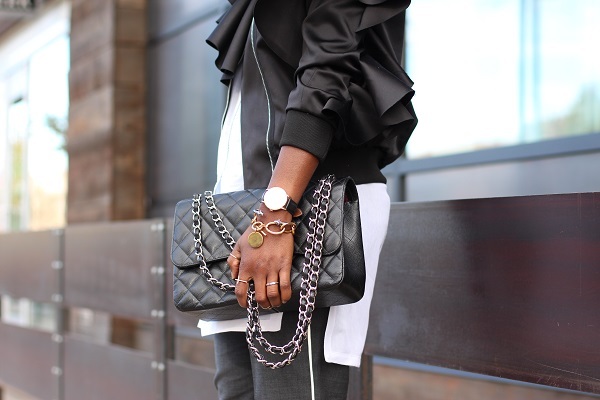 Can’t you also see this fun jacket over a tulle or a midi pleated skirt for a holiday look?